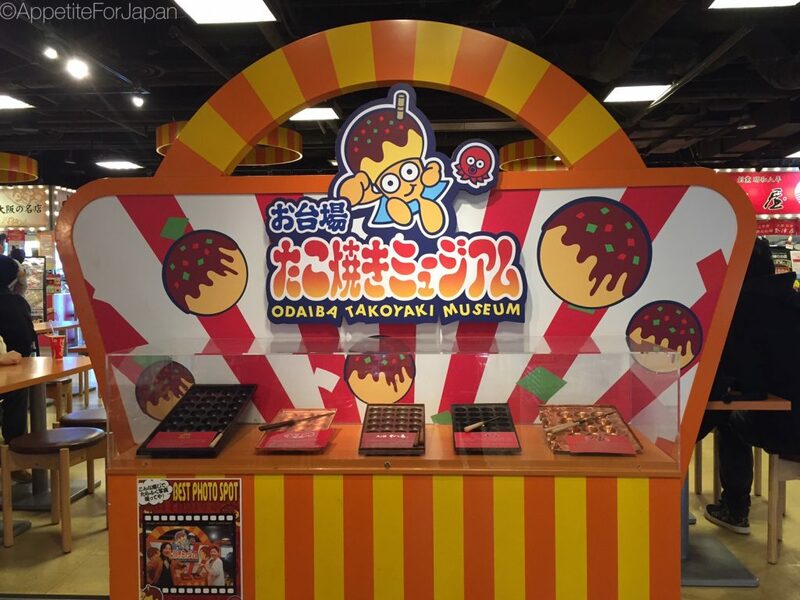 Odaiba Takoyaki Museum is a food theme park dedicated to – you guessed it – takoyaki. What is Takoyaki? 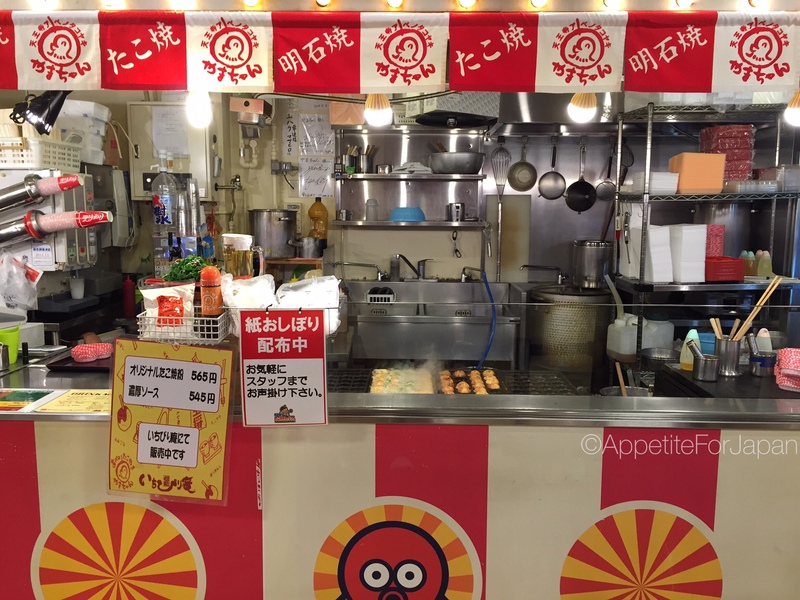 It’s a delicious Japanese street food made of diced octopus in seasoned batter, lightly fried in special pans to make dumpling-like balls which are then covered with sauce, mayo and other seasonings. 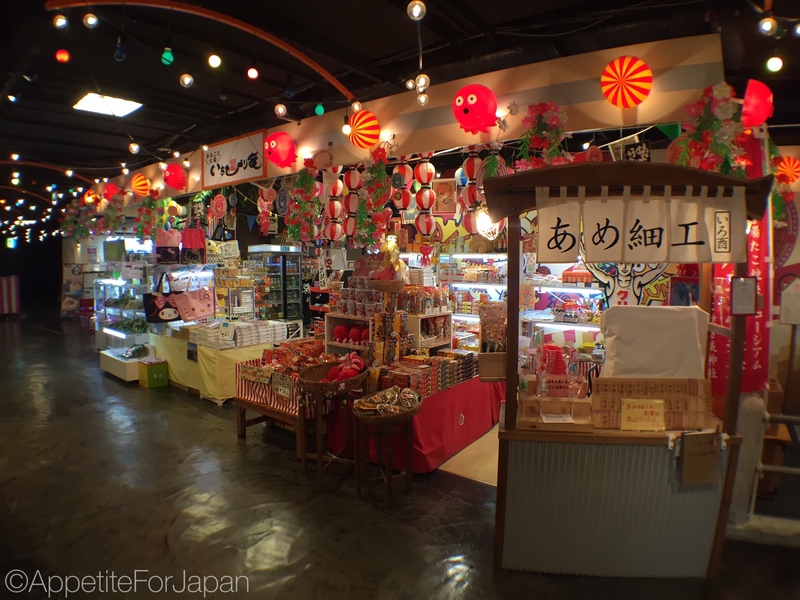 If you like the sound of that, read on to find out about the Takoyaki Museum. 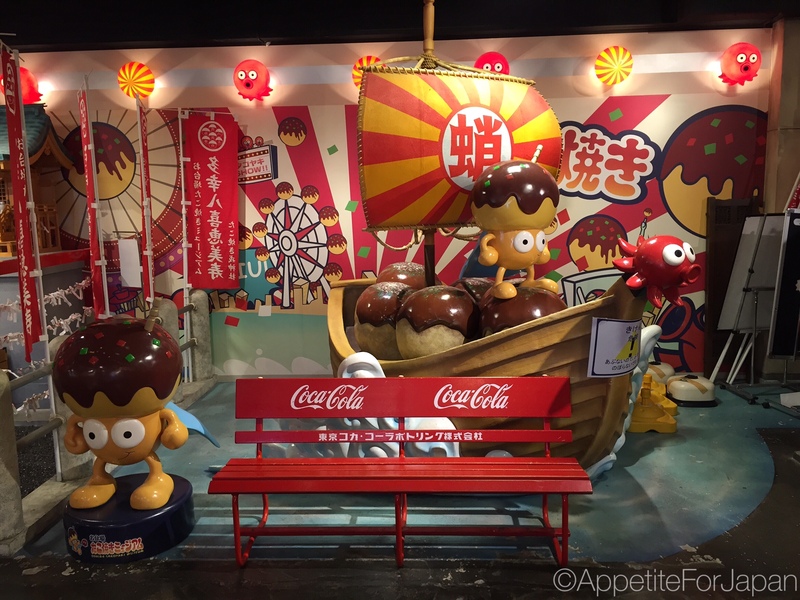 Odaiba Takoyaki Museum is one of several food theme parks (フードテーマパーク- pronounced fūdotēmapāku) in Japan. 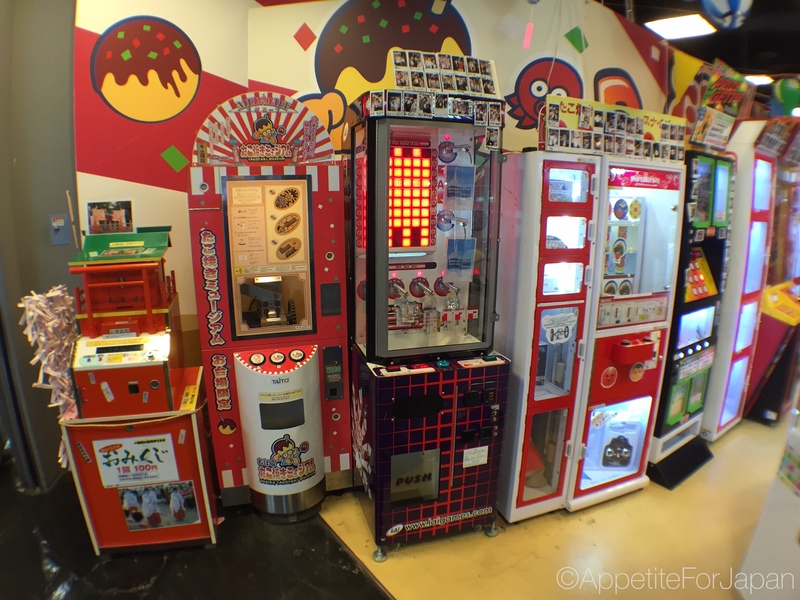 In fact, when it comes to food theme parks – also known as food museums – Japan is where it’s at. 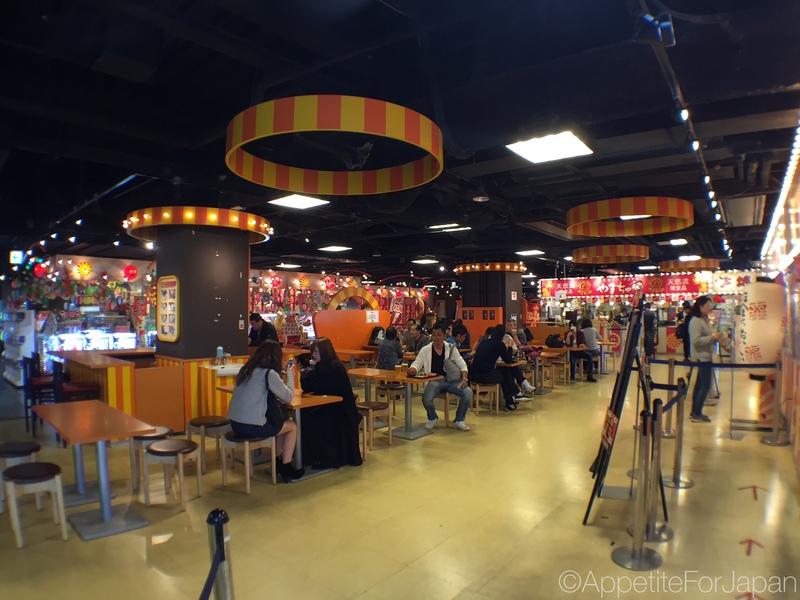 Of course, they’re not really theme parks or museums; they’re food courts dedicated to a particular type of food. 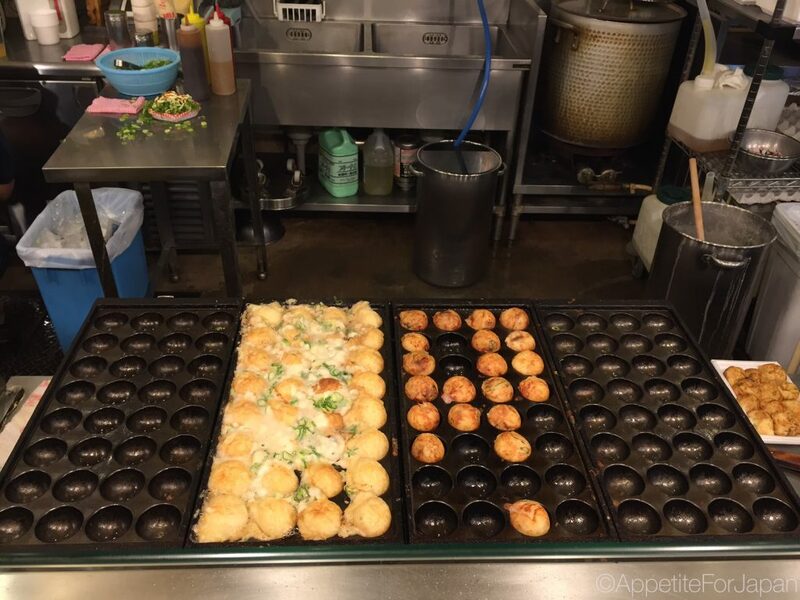 Above: This is how they fry takoyaki so that it forms small balls of tasty goodness. Takoyaki is said to have been invented in the city of Osaka in the 1930s. Traditionally an Osakan street food snack, these you can find it in plenty of restaurants in Japan and abroad. 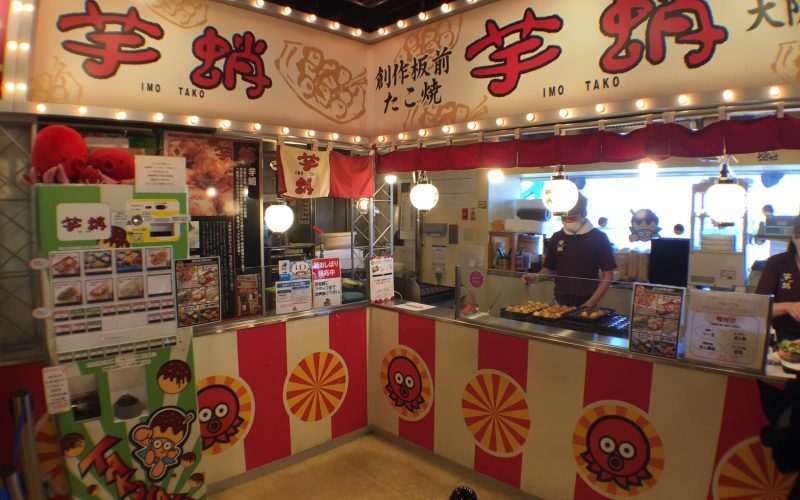 The Takoyaki Museum is in the Decks Tokyo Beach shopping centre on the man-made island of Odaiba in Tokyo Bay. 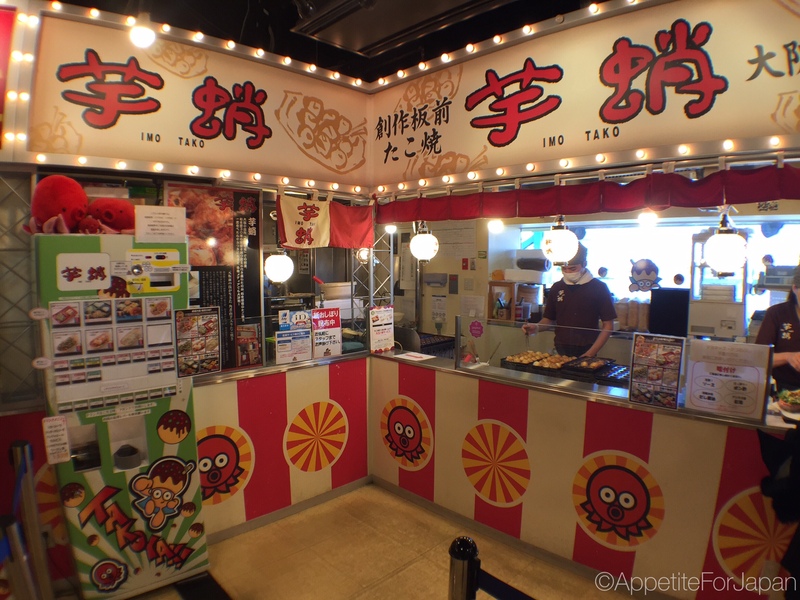 There are five different takoyaki shops at the Takoyaki Museum, each one selling a slightly different take on takoyaki. I’m not sure whether this still exists, but they had a deal whereby every Wednesday was “couple’s day”. 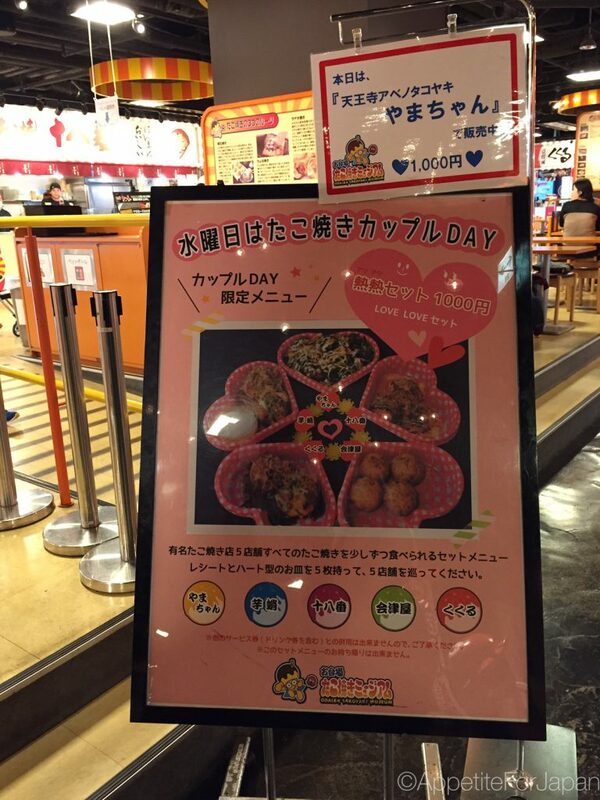 This meant that for 1,000 Yen, couples could share a set of five heart-shaped plates from each of the five stores representing different areas. This was good value and a great sampler. Once we’d eaten this, we went back for more of our favourite type. They were all pretty good, and our favourite was the takoyaki covered in spring onions and mayo. 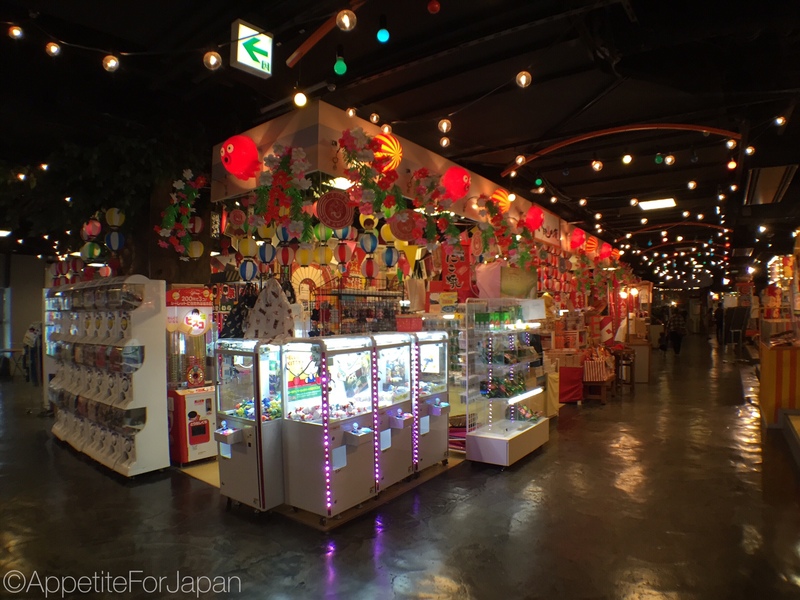 This being Japan, there is an area full of gachapon and UFO catchers with a takoyaki theme. This is a food theme park, after all. 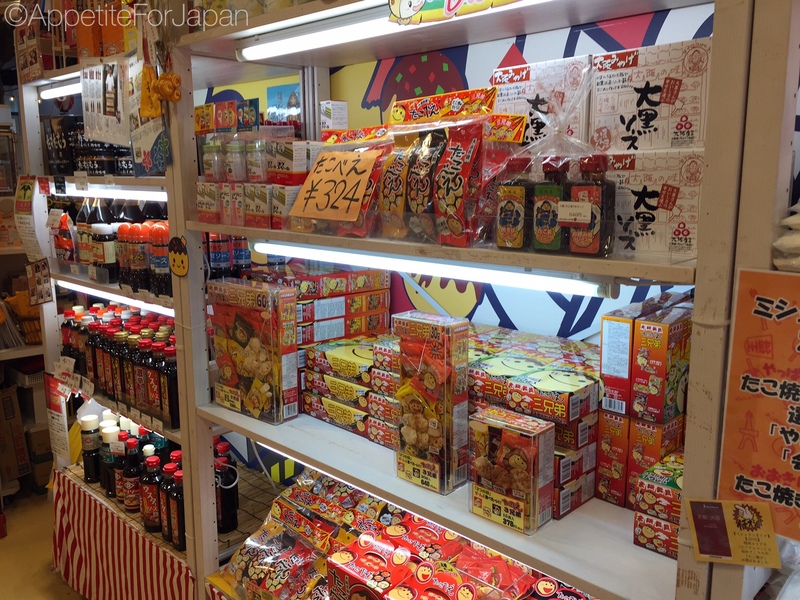 And, of course, there is a shop packed full of takoyaki merchandise and packaged food products. Above: Takoyaki mascots sailing on a boat full of takoyaki in front of a Coca-Cola park bench. I don’t understand what this is all about, but hey, this is Japan! Above: It doesn’t get any less strange with the takoyaki shrine display. 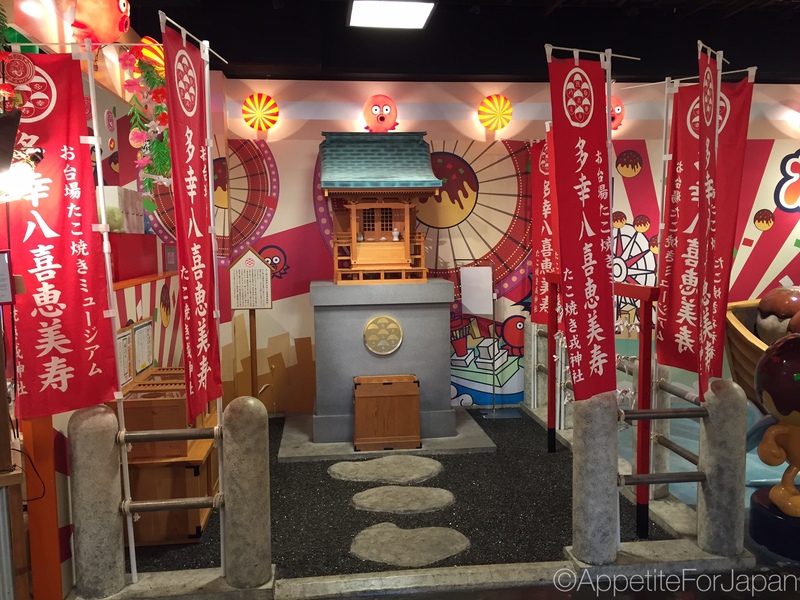 Would I recommend Odaiba Takoyaki Museum? 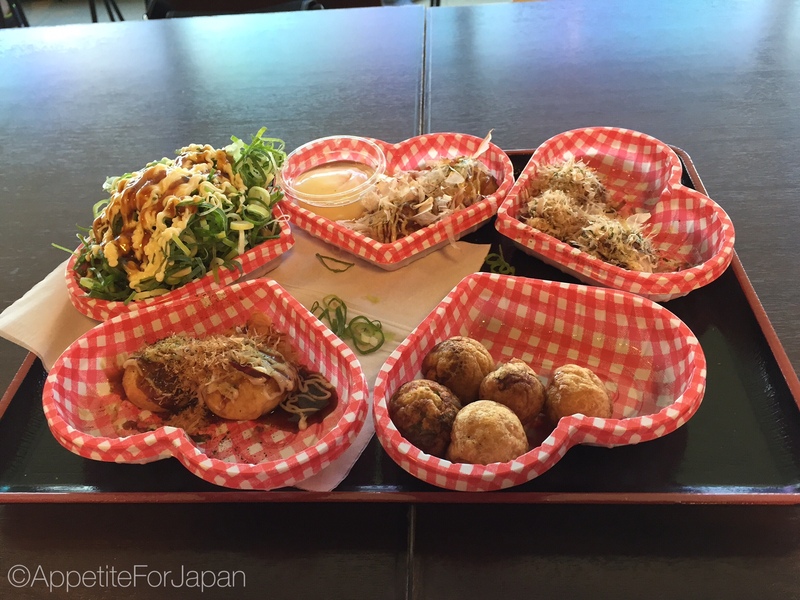 If you like takoyaki and/or you’re planning to visit Odaiba, then I would definitely consider it as a good lunch option. We wend on a weekday and it was very quiet, so we got our food quickly and had no trouble finding a table to sit at. It was inexpensive and tasty, and we’ll likely go there again someday. Note: Takoyaki contains octopus, so if you don’t eat octopus then you’d be better to eat elsewhere. 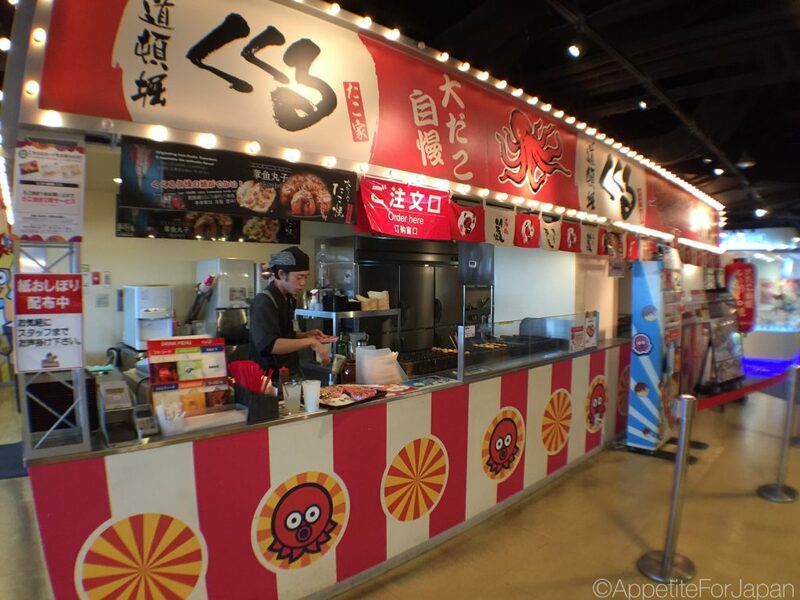 The Takoyaki Museum is located on the 4th floor of the Decks Tokyo Beach shopping mall in Odaiba – a man-made island in Tokyo Bay. There are several ways to get to Odaiba, which you can find on the Decks Tokyo Beach website. My partner and I usually catch the train there and back (although there was that one time we stayed in the exclusive Gundam hotel suite which meant we could walk straight there). Since we usually stay in Shibuya, we catch the JR Yamonote line to Osaki station (just a few stops away) and then we change to the Rinkai line. 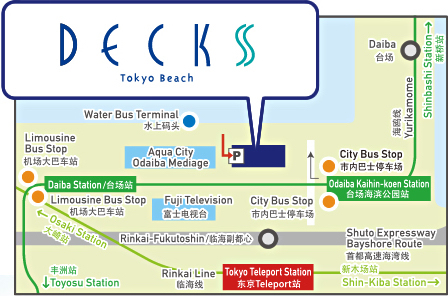 The closest station to Decks Tokyo Beach shopping centre on that train line is Tokyo Teleport station. Next up we’ll look at Daiba Itchome Shotengai, the retro-kitsch theme park.